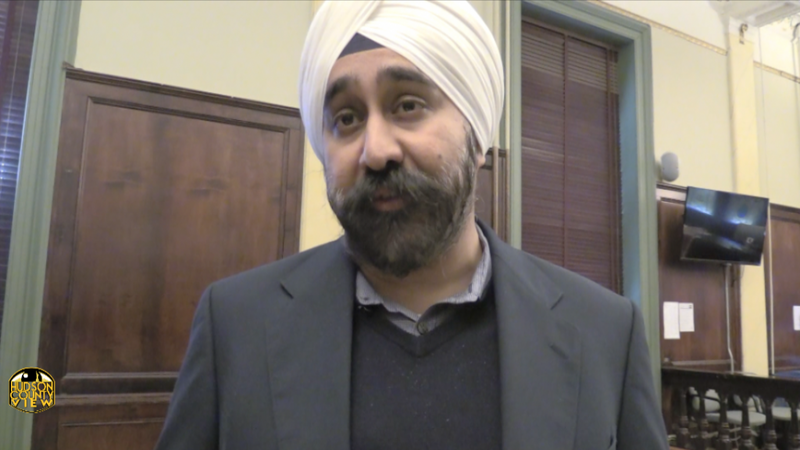 Hoboken Mayor Ravi Bhalla says that the indictment of longtime politico Frank Raia for vote-by-mail fraud shows the dangers of bringing back runoffs, though 1st Ward Councilman Mike DeFusco says the opposite is true given the particulars of the case. “This latest indictment is extremely concerning because it yet again again proves what Hoboken voters have known for years – Vote By Mail fraud extends all the way to public figures and those who run political campaigns,” Bhalla said in a statement. The mayor also called for federal authorities to continue investigating “all current public officials” who have received Raia’s support and utilized his campaign tactics. Raia, a former candidate for Hoboken mayor and council, as well as an ex-chair for the North Hudson Sewerage Authority, was indicted earlier today, along with ardent support Dio Braxton. Bhalla’s comments echo what he said when Lizaida Camis, a former campaign worker for Raia, was indicted on VBM fraud last month. On November 6th, Hoboken voters will decide whether or not to bring back runoff elections after voting to eliminate the practice back in 2012. 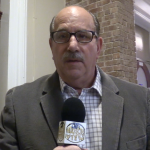 Bhalla has been adamantly against bringing them back, while his chief political adversary, 1st Ward Councilman Mike DeFusco, is pushing hard to reinstate runoffs. 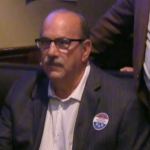 In his own statement, DeFusco argued that Bhalla’s logic was flawed since the indictments related to VBM fraud all stem from the 2013 mayoral contest, the year after runoff elections were eliminated. 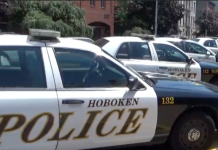 “This alleged vote buying scheme occurred in 2013, the first municipal election after the city stopped holding runoff elections, and it’s abundantly clear that eliminating runoffs from Hoboken elections encourages misconduct. 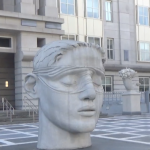 The indictment is equally troubling because without runoff elections, it is far easier for illegal ‘paid for’ votes to successfully impact an electorate divided into smaller voting blocs,” the councilman said. As previously noted, few other Hoboken officials have taken a public position on the matter, though the city council approved a veto override, 7-2, to get the referendum question on the ballot. Council members-at-Large James Doyle and Emily Jabbour were the dissenting votes. Editor’s Note: This story was updated with a comment from 1st Ward Councilman Mike DeFusco. Hey Ravi, you were pushing to get Pupie on the Sewerage board not long ago and now you’re making completely moronic comments about the voter fraud for self-serving ends. Wot a shock! The voter fraud king is dead and you can’t do him any more favors Ravi. Get over yourself! Yeah, we know Ravi, you wouldn’t want them to investigate a certain previous mayor who is no longer a “current public official” and who made her way into office with Raia’s help, would you? Of course, Raia could offer up information in a plea, couldn’t he? So $75,000 in union advertising to benefit Ravi doesn’t amount to our city being “bought and sold”? Really?!?! Ravi sold our City out a year ago and tries to deflect attention from that fact each and every chance he gets. I wonder if his feigned support of Doyle will result in him publicly supporting Doyle’s resolution against the North Bergen power plant; the one that solely will provide power to NYC but which will dirty the air for Hudson County residents and children. Will our “mayor” lend his support and voice to this cause, or will he be too afraid to anger his union benefactors to make a stand? If Ravi had run in an election with a runoff, he couldn’t have sent out divisive mailers that savaged his former ally Jenn Giattino. He couldn’t have mucked up the election by getting his buddy Cory Booker’s boy Pablo to convince Romano to run. He couldn’t have been elected with a mere 32% of the vote. No, Ravi would have had to have truly earned the trust of a MAJORITY of the voters in the city of Hoboken – something he has little confidence in his ability to do. Let’s spin, spin, spin the current headlines – Ravi wants you to believe that Hoboken, a city where million dollar homes are aplenty these days, will still be ravaged by $50 per vote election influencing. What a bunch of horse excrement! The percentage of Hoboken’s voter population that can be bought decreases each and every year. Add to that the fact that Raia was just indicted, and that ever decreasing portion of the voting population that remains for sale wouldn’t dare be bought by anyone. Nobody is stupid enough to mimic Raia’s mistakes post this indictment, and Raia’s vote buyable population was becoming less and less significant with each passing year anyway. Ravi is spin, spinning a narrative . . . don’t bring back majority rule, because then nonsense, resume building candidates like me will actually have to earn elected office! I already earned it years ago when I filled Dawn’s election war chest – enough earning!!! Oh, Dawn (and Stan) what have you done!!!!!!! I understand that you’ve posted on your own site using my screen name “lindalou, followed up by a post in your own name “responding” to it. If John is OK with it, feel free to use the name lindalou here as well if you’d like, and to converse with yourself using your other names to your heart’s content. There’s no charge for the use of my name and it’s actually kind of fun watching you and the other two real doofuses of Hoboken make even bigger doofuses of yourselves. I understand this is the fake Lindalou. I have my transgender card to prove I’m really the Shadow dudette. Besides, I’ve been really busy on the phone with Ravi trying to help him extricate himself from the very public perception he is trading on Hoboken for big development. That’s not why Dawn and I did a backroom deal pushing Ravi out there. Ravi’s making us look bad and we should have seen it since obviously others did and made a big stink last year. Maybe that’s my hormones talking, I don’t really know WTF is up or down anymore. Ravi can you stop making us look like the biggest doofuses in Hoboken? I see you’ve taken me up on my offer. I meant it in jest to point out what a doofus you were, but as you’ve shown again, your doofusness not only speaks for itself, but you proudly and loudly display it for the few who know you exist at every opportunity. You truly are a role model for doofuses everywhere, not just for the two others in your club. Keep up the great work. MADA!!! That’s short for make America doofy again? Carmelo thinks you’re the doofus. The taxpayers and the Hoboken Housing Authority are the victims. Thanks. Fun watching the piles horse manure being shoveled here trying deflect any attention to the relationship between Frank Raia and Michael DeFusco when he recently tried and failed to become Mayor. The other alleged perp in this inditement lives in the First Ward’s Marineview Tower. Coincidentally right where those racist flyers in the last election were being tucked under windshields in the middle of the night. These criminal charges of his supporters are certainly not helping DeFusco’s well funded campaign to try return to the runoffs that are more easily prone to voter fraud. Interesting to see Kurt Gardiner arguing that he was the obvious, no-brainer choice of good-government advocacy. True, Kurt has a track record of generally being on the right side of the issues at one point. But hey, so did people like Beth Mason, Dave Mello, Ines Garcia Keim, Tony Soares and Lane Bajardi, or the Cunningham-Fisher-Giattino alliance that somehow managed to rationalize supporting Ramos for council president. Nowadays, Kurt is more closely associated with “Sikh” puns and other ethnically/religiously insensitive remarks, passive-aggressive tantrums again to grabbing pizza boxes, and generally over-the-top vitriol in the service of personal political loyalties, with public policy taking a back seat or getting rationalized to serve a political agenda. Kurt is a far cry from a no-brainer good-government advocate in any context, he’s really become quite a lightning rod, to the extent he’s still relevant. Kurt’s more relevant as he serves with distinction on the North Hudson Sewerage Authority. It’s the seat you, LindaStan tried with Ravi to hand to Pupie Raia. Kurt’s relevant, you ain’t Fake. Of course Stanley, Dawn, Nancy, Mark, Forde, Jake Stuiver, Keith, The Holtzmans and Phil are the only true bearers of reform… NOT. Look at how cozy the original Masonistas are with the Zimmer/Grossbard- Bhalla gand to this day. GrafixAvenger is a cave filled with more sewage and nastiness than 411 ever had. Keith who? The guy who credibly threatened to sue you if you ever mentioned him again? Public figures are allowed to be questioned and I’m not sure if you know this but I’ve never been threatened to be sued, you must be fantasizing that I’m done other obsession of yours. He has to prove defamation by mentioning his name. The reality is, runoffs are democratic and ensure that elected officials in Hoboken only gain office once they’ve earned 50% +1 support. To vote “YES” on Tuesday will bring back the runoffs and will be a positive change for Hoboken’s elections moving forward. 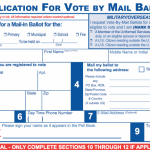 Frank Raia being indicted solely and only has a chilling effect upon vote-by-mail fraud moving forward. The ever-increasing wealth of our community has a chilling effect as well – as households with an income in the hundreds of thousands won’t sell their vote if $50 is waived in their face (current Hoboken residents drop more than that on a haircut or brunch). 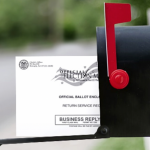 Vote by mail fraud is YESTERDAY’S problem. Negative campaigning, non-issues based campaigning, the infusion of thousands of dollars of special interest union money, the false-flag terrorist flier; these were all the consequences of the existence of a mere plurality election in Hoboken in 2017, and are TODAY’s PROBLEMS. Bringing back the runoff will squash the negative aspects of TODAY’S campaigns. The FBI has already squashed the negative aspects of YESTERDAY’s campaigns – thank you Feds. Bring back the runoff and force candidates to gain the support of 50% +1 of the voter base. The fact is, Vegas oddsmakers would have put Ravi as the odds-on favorite to win a 2017 runoff, and if he had been forced to win a runoff, he would have run a more positive and issues-based campaign, and our community wouldn’t be so divided today. We would be a heck of a lot more healthy from a political standpoint and the typical voter would feel like the mayor earned their leadership role (today 2/3 of voters don’t see the person they voted for leading our city! Shame, shame, shame.). It’s as simple as 1+1=2; runoffs are democratic, runoffs are fair, and runoffs should be part of the future of all Hoboken elections. VOTE YES ON NOVEMBER 6th to bring fair elections back to Hoboken and put an end to the divisiveness that currently haunts our beloved city. That gibberish about the wealth of the community solving the vote-buying problem is a very clear indication that YOU DON’T LIVE HERE. Hoboken’s poor will remain poor. They are not suddenly wealthy now and in a position to turn down $50. Any idiot who lives here would know that. But you don’t. You also don’t seem to have any grasp of how many votes are bought at the polls with no VBM. The people who are PAYING YOU didn’t go into that. You know how you can completely circumvent legal enforcement of vote fraud? Of course not, that’s not what you’re being PAID TO DO. Buy one t-shirt in each size. Small, medium, large, extra large. Just one. Pretty cheap. Have each bought vote walk around the block once wearing that t-shirt. Just once. Take a picture of the “campaign worker” at the end. Take the t-shirt and give it to the next person. Voila. No vote fraud. They were canvassing, and you have digital proof that will stand up in any court. So shove it, MR PAID POLITICAL OPERATIVE. You didn’t care about this city before, you don’t care about it now, and you won’t care about it after low turn-out elections return and vote-buying once again holds sway. All you care about is WHOEVER IS PAYING YOU. That would be DEMOCRACY IN ACTION paychecks. Don’t worry, ex-reformers like Roman Brice and Kurt Gardiner won’t ask who they are or why they are PAYING YOU or remember the track record of soft money and faceless fast talkers oozing into our elections, even as they trumpet the demise of the last one MSTA. Ultimately the fast talkers all work for developers, trade unions and real estate firms, just like you. But Roman and Kurt only care about attacking Ravi Bhalla, so you’ll get a pass. When the election is over, you still won’t see one word about DEMOCRACY IN ACTION on the ex-reform blog that once would have been so far up their butts they won’t know what day it was. But those days are over. That wasn’t particularly persuasive but it was surprisingly coherent. Grammatically correct and everything. Did you write it all by yourself? I’d think Councilwoman Fisher might have helped you but it wasn’t long enough. When you look in the mirror you’ll see the doofus. You morons are all jacked up thinking that everyone commenting in Hoboken is the Horse. So dumb but you all suffer from power craving and Sybil’s Cave disease. That ain’t good. On Election Day you get to cry again when Hoboken residents bring back runoff elections. Too bad, no one cries for your lust for power. Nobody cares which of the three real doofuses of Hoboken you are. You’re the doofy trilogy. Three incarnations but really the same doofus. We at Democracy Inaction (known humorously as “Democracy In Action” on our media materials) wish to extend our sincere gratitude to all you folks known humorously as “reformers” for not questioning our presence in your community. That’s right – we’re your friend. Sure, why not? We’re funneling money to candidates, we’re writing comments on this website, we even got Roman Brice to publish our flyer on his formerly investigative website! And no one asked who we were or why we want runoffs. All you need to know is that Bhalla doesn’t want runoffs and we do! God bless you! But, no, DON’T do that. We all want the same thing, trust me. We’ll tell you what the “same thing” is later. All in good time. For now, just focus on your whataboutisms, and shooting the messenger and trying to out people you disagree with in lieu of forming and opposing arguments. Opposing arguments are for your enemies. We’re your friends. Trust us. Even if you don’t know who we are or why we’re here. What, you think they are going to issue a terror flier to get Ravi elected? You Ravibots sure get bent out of shape about the oddest things. But on that Ravi Terror Flier, you sure do STFU real fast about that. Absolutely right, My Hero Horse! No one wants to hear about the secretly funded flyer you are promoting on your website. They want to hear your EVIDENCE that Bhalla is behind the terror flyer. And the only way that will happen is when you replace Chief “Stasi” Ferrante! It’s not any terror flyer. It’s the RAVI terror flyer and you can PROVE it! Don’t let Chief “Stasi” Ferrante make you stfu. Show your PROOF, My Hero Horse! Otherwise people will WRONGLY think you are accusing Bhalla of a felony night and day with no EVIDENCE. That’s what Chief “Stasi” Ferrante wants people to believe. That’s why the democrat party pays him! But don’t worry about the secretly funded flyer you are promoting on your website. Lot’s of good people are secretive. Fire Chief “Stasi” Ferrante now! Replace him with My Hero Horse. He knows which secret political campaigns are bad! You’re the one with all the answers and you’re the one accusing someone of a felony every day. Beside a defamatory accusation, what do you have? Yeah, this is the alt-right game. Make an unfounded accusation and then point out how no one is denying it. As if your garbage is their problem. Well the alt-right is going down the tubes tomorrow. So start manning up. If you can’t do more than make your little defamatory accusation over and over then STFU yourself.